A new development is coming to Doral. Vintage Estates Doral will be located between NW 70th Street and 107th Avenue. 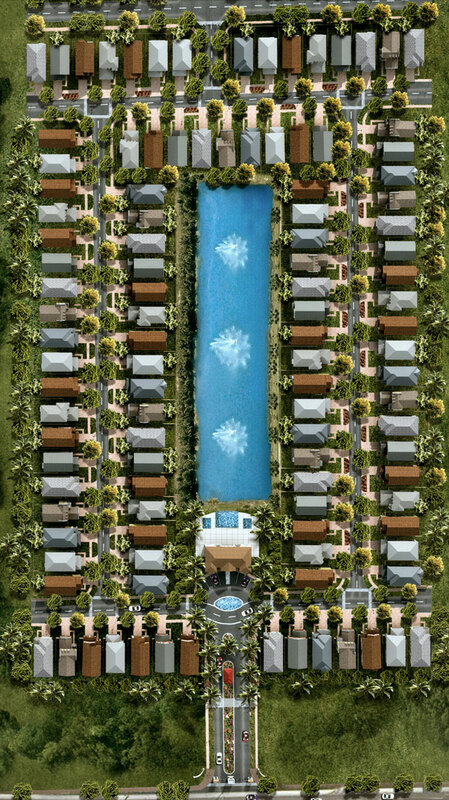 This 110 luxury single home, 28 acre development will be located in front of Doral Isles. Homes will start in the $500,000 and feature three styles of designs. Homeowners will have their choice of Tuscan, Georgetown, or Coastal style. The Tuscan design is a warm and inviting style reminiscent of Italian hillside homes. Georgetown style homes will feature darker colors and be styled after historic mansions in the North. The Coastal style will be designed after beach homes with metal roofing. All of the homes will be between 2,800 and 3,700 square feet, and two stories. Each style will have its own two-door garage, full size dining room, designer kitchen, and spacious living quarters. The upper level will feature a master bedroom with a lake view balcony. Large backyards, big enough for a pool, will be included in all home designs. Designer touches make these luxury homes a pleasure to come home to with 24 by 24 porcelain tiles in the bathrooms, kitchen, laundry room, and foyer. A full size washer and dryer, along with pre-wired telephone, video and data connections, and a pre-programmed thermostat make the homes state of the art. The authentic Italian cabinetry and glass or quartz countertops add to the designer feel of the homes. Not only will the homes be luxurious, but the entire community will be upscale. Residents can feel secure with in the gated community with a 24 hour manned gatehouse. A private clubhouse with a lake view will have a full adult fitness center with a children’s playroom, a library, kitchenette, business center, sun deck, BBQ area, and pool for entertaining. A green park with bike trails will offer residents a chance to enjoy the Florida weather all year around. Located in the heart of Doral, Vintage Estates is close to the Miami metro area and an easy commute. Doral is the fastest growing community in the Miami/Dade area, and was recently rated number 2 in the Forbes Magazine Best Places to Live list. A low unemployment rate, highly rated schools, and safe neighborhoods makes Doral the perfect place to raise a family or enjoy retirement. Since its incorporation in 2003 city tax rates have not been raised, and according to the latest City Council news the tax rate should stay the same for the next fiscal year. 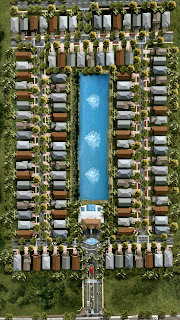 Vintage Estates in Doral will soon join the ranks of luxury communities which make Doral a unique place to live. Situated near the Miami area, Doral is one of the rare communities in which the beauty of the city matches the high quality of living.